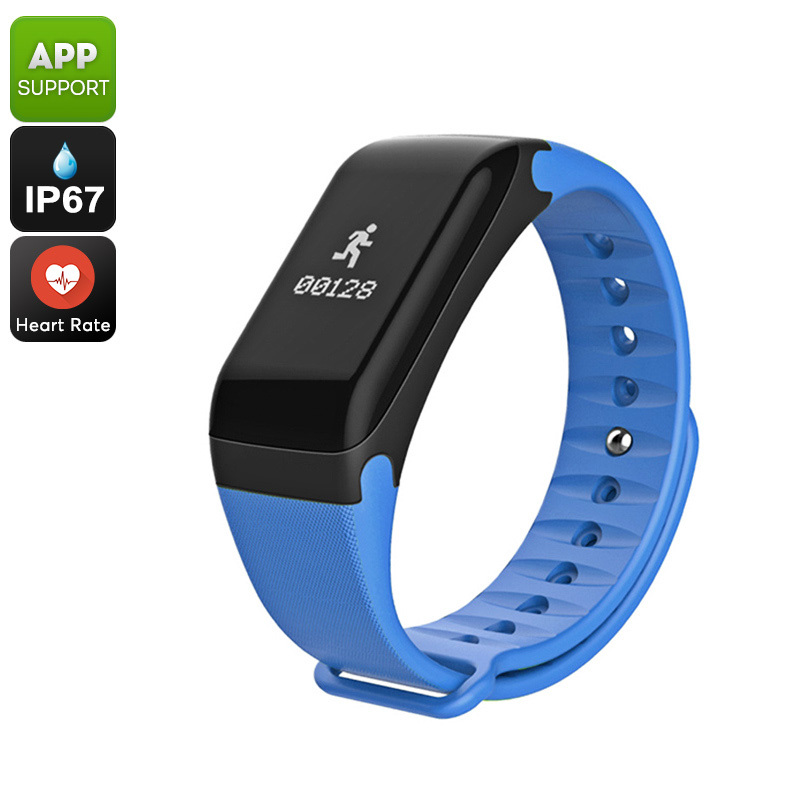 Successfully Added Fitness Tracker Bracelet - Heart Rate Monitor, Blood Pressure, Pedometer, Distance Counter, IP67 Waterproof (Blue) to your Shopping Cart. This sophisticated fitness tracker bracelet treats you to an abundance of smart health features that will support you in working towards a healthier lifestyle. With its pedometer, this sports bracelet keeps track of the total number of steps you take during the day. It furthermore is capable of telling you the distance that you have covered. This is great for those of us who have difficulties reaching their daily activity levels. With this sports bracelet at your wrist, you’ll be motivated to move more and can be guaranteed you’ll meet the required hours’ of exercise to stay healthy. Besides a pedometer, this tracker bracelet also comes with a blood pressure monitor, heart rate monitor, and sleep monitor. Thanks to its Bluetooth 4.0 support, this fitness tracker bracelet can be easily paired with your iOS or Android phone. When used with the dedicated mobile Application, you’ll be able to easily analyze and compare your activity levels over a longer period of time. The watch itself is IP67 waterproof so you can use it even in the gym or shower. With its 80mAh battery, it delivers up to 120 hours of usage time on a single charge. Thanks to its casual and comfortable design, this sports tracker can be worn with confidence at any occasion.